Viren Singh from Step By Step High School in Jaipur on his experience with Cricket India Academy. We are always looking to promote domestic cricketers and budding talent in our nation. We are excited to write about Viren here today. Viren Singh is working hard to be the next generation of fast bowlers for India. Please feel free to leave a comment or contact us if you know a budding cricketer and would like us to highlight them here. 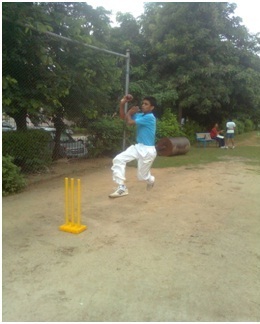 Till now I have just played cricket and for the first time I am writing about cricket. Since childhood I have only dreamed of playing for India. Every match I play, I try to give my level best for my team. I am a medium-fast bowler and a lower middle order batsman. I still remember the day when I played my first T20 match. My coach asked me to open the bowling. My first ball was a slightly good length delivery and to my surprise and happiness, I got a wicket. I was lucky to get a wicket on my very first ball of my first T20 match. My bowling figures of the match were 4-0-28-2. I was praised by my coach as well as my teammates. Then I joined Cricket India Academy (CIA) which had something different in store for me. First of all I would like to convey my gratitude to my esteemed coach, Mr. Azhar. He is a very polite and hardworking coach. 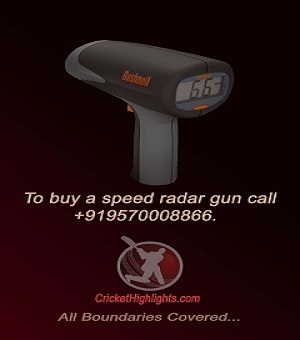 His valuable tips always prove to be very helpful in improving my bowling. I am lucky to have such a coach. 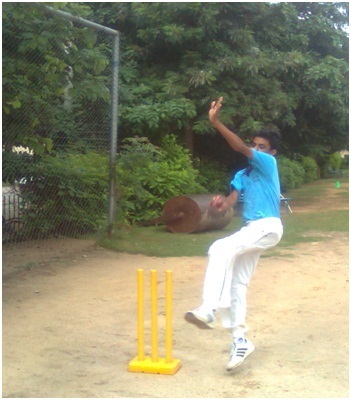 Since May 2011, I have played under the guidance of Cricket India Academy. In STEP BY STEP CUP our team reached the quarter final. I bowled to the expectations of my coach in the tournament. Next I played the RYAN CUP 2011 and bowled brilliantly. I bowled 9 overs in the tournament and got 6 wickets for 14 runs. Not a single four was hit off my bowling. In RYAN CUP our team i.e. Step by Step High School, JAIPUR reached the semi finals. Next, in the U17 EDUCATION CUP held in September 2011, I was selected as skipper of the team. I bowled well and our team reached the semi finals. to us in a very simple and friendly way. I remember that before a particular tournament our coach Mr. Azhar asked all players of the team to bowl 6 over’s and then bat for 6 over’s. The target for the batsmen was to score 36 runs and the target of the bowlers was to defend 36 runs. As the batsmen reached closer to the target Mr. Azhar would increase the score so that we learn to play in pressure situations. Such instances help us to attain the right mindset when approaching the game. Cricket India Academy not only teaches us better technique but also lays emphasis on the mental approach especially in handling pressure situations. I hope with the help of Cricket India Academy a number of players get to realize their dream of playing for their country. Again, I would like to thank Cricket India Academy deeply from my heart for all their support and hard work. (Step By Step High School, Jaipur). Cricket India Academy is the cricket division of SEDIL and is responsible for the day to day management and operations of all cricket activities. Leading the coaching function is Coach Director and former Indian international cricketer Pravin Amre. Cricket India Academy was started in 2009 by SEDI L to present comprehensive and structured cricket development programs. Recently Cricket India Academy signed a partnership agreement with Pramanik Panthers which is owned by Pramanik Retails Pvt. Ltd. The details of the partnership can be read here. Please indicate below the emails to which you want to send this article: Viren Singh from Step By Step High School in Jaipur on his experience with Cricket India Academy. Posted in Domestic Cricket, Main Page Featured•Tagged Cricket India Academy, Fast bowler Viren Singh, Players, Ryan cricket cup, Step by step, Step by Step school in Jaipur, U17 Education caup, Viren Singh from Step by Step high school•by Danish "Dangerous" Khan•3 Comments on Viren Singh from Step By Step High School in Jaipur on his experience with Cricket India Academy. call this number +919619960428, you will get all the details. Good Luck Viren.. All the best to you and hope all your dreams come true.